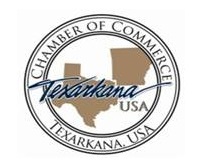 Texarkana, USA (November 28, 2018): The Texarkana USA Chamber of Commerce is proud to announce and welcome our newest Chamber Members. We are looking forward to working with these businesses to promote our region and increase jobs for the betterment of our economic growth. We would like to welcome the following businesses to the Texarkana USA Chamber of Commerce: Arbor Pointe, 600 N. Oats St, Texarkana, AR; ATWOODS Ranch & Home, 111 Atwoods Dr, Nash, TX; BPL Plasma, 1801 N Robison Rd, Texarkana, TX; Datacast, Inc., 1702 Hampton Rd Ste B, Texarkana, TX; Richmond Nutrition, 3316 Richmond Rd, Texarkana, TX; and SignatureCare Emergency Center, 2001 Mall Dr, Texarkana, TX. The Texarkana USA Chamber of Commerce is a private not for profit membership trade association focusing on community and economic development for the Texarkana region. The Chamber has been a community partner for over 100 years in Bowie and Miller counties.